John Farrant reveals what the Lewes artist James Lambert can show us of the local scene in the later 18th century. James Lambert’s unfulfilled ambition was to be a painter in oils of imaginary landscapes, but by temperament he was not suited the competitive art world of London. Instead he stayed in Lewes and in the 1760s to ‘80s undertook many of the types of painting for which there was demand outside London. He became the first painter in eastern Sussex to be an artist rather than a craftsman; he had sidelines as a stationer and a musician. We know of some 700 pictures made by him, often with his nephew’s assistance. They include many drawings and watercolours of Sussex’s historic buildings commissioned by serious students of the past, with copies sold to visitors wanting souvenirs. 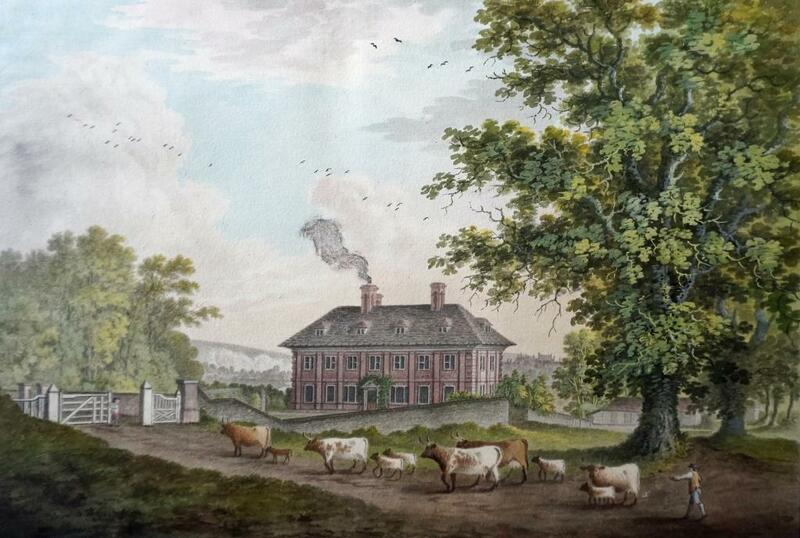 He also captured the gentry’s houses (and livestock) for their proud owners. (Sussex Record Society, 2001) and of many articles about the history of the county.